A contract is a regular business document that lays out the expectations of both the client and the service provider. Clearly stated expectations provide assurances for both parties. 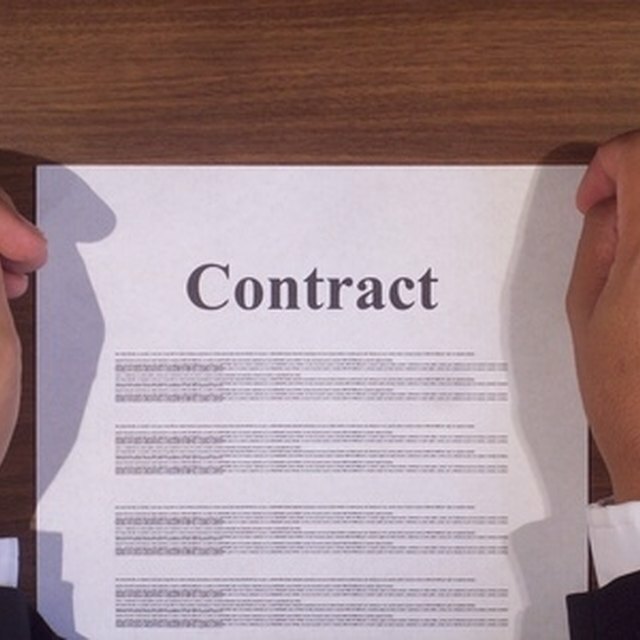 Consider all aspects of a project before signing a contract. A clearly stated contract should have not just what the product or outcome should be, but items like deadlines, quality checks, timelines, dispute resolution process, outlines of grounds for termination or extensions, and penalties and provisions. Contracts must consider any possible situation that may arise and outline how it should be handled. If not, there is room for either the client or provider to stray from the contract. It comes down to a matter of semantics -- if you are not clear in your contract, there is room for interpretation after signing the contract. Consider legal aid when drawing up any kind of contract. When a situation requiring a contract does not warrant a lawyer -- say, a contract with a neighborhood teen who will mow your yard -- consider online contract templates.